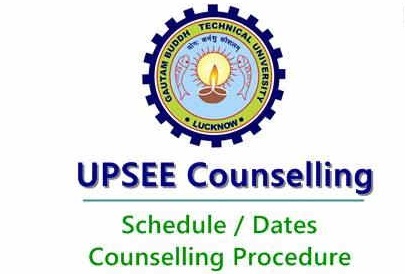 UPSEE Counselling Dates 2018 : Uttar Pradesh State Entrance Examination (UPSEE) Counselling dates 2018 has to be announced by Dr A.P.J Abdul Kalam Technical University. Candidates waiting for the UPSEE Counselling dates can check the complete details from the UPSEE Official portal, upsee.nic.in. As per the announced schedule, the UPSEE Counselling and document verification will be held from 25th June. Candidates those have qualified the UPSEE examination can register for the seat allotment process starting from 2nd july. Students can upload their scanned documents for verification purpose. The UPSEE examination was conducted by Dr A.P.J Abdul Kalam Technical University on 29th april, 5th, 6th May 2018 across the state. The examination has been attempted by aspirants seeking admission into UG and PG professional courses. Aspirants seeking admission in Dr A.P.J Abdul Kalam Technical University affiliated colleges have attempted the examination. The UP Technological University offers the UG and PG courses for the students. It offers BE/B.Tech, ME/M.Tech and various other professional degree courses for students. Annually huge number of students come out this university. The UPSEE Counselling online registration has started from 25th June. Candidates need to pay the required registration fee. General candidates need to pay the fee of Rs 20,000 and SC/ST candidates need to pay the fee of Rs 12,000. Candidates those have qualified the UPSEE can fill their choices from 25th June. Students can lock their choices Allotted in UPSEE 1st round counselling or they can float or withdraw 1st round allotment from 2nd july. UPSEE 2nd Round Counselling will be held from 6th july. UPSEE Counseling will be conducted at the Various centers in Uttar Pradesh. and Counseling Letters will also be Available for Downloading from UPSEE website. Schedule will be release soon here. Stay tuned. Five Rounds Counselling will be held in schedule wise. The process will be like as below. Try for Rajkiya engineering colleges. IET, knit, biet mushkil hai.